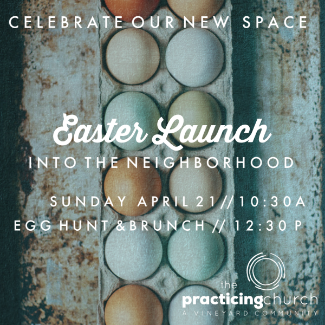 Join us for a Special Gathering on Easter! Directly following our service, we will move the party to the Ketola/Likes home with an Easter Egg Hunt, Mimosas and Easter Brisket Brunch! Feel free to invite your friends and your neighbors. And then bring some delicious food so we can feast together! We will provide Brisket. You bring the rest: Potatoes, Salads, Fruit, Sides & Drinks! Please sign up to bring a dish and a beverage to share! We will be out of town! We'll be with Ron's family, so sorry to miss you!